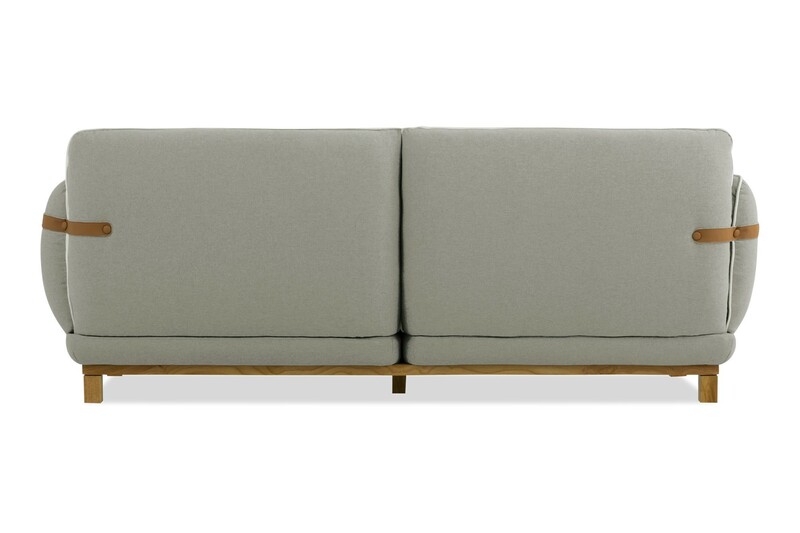 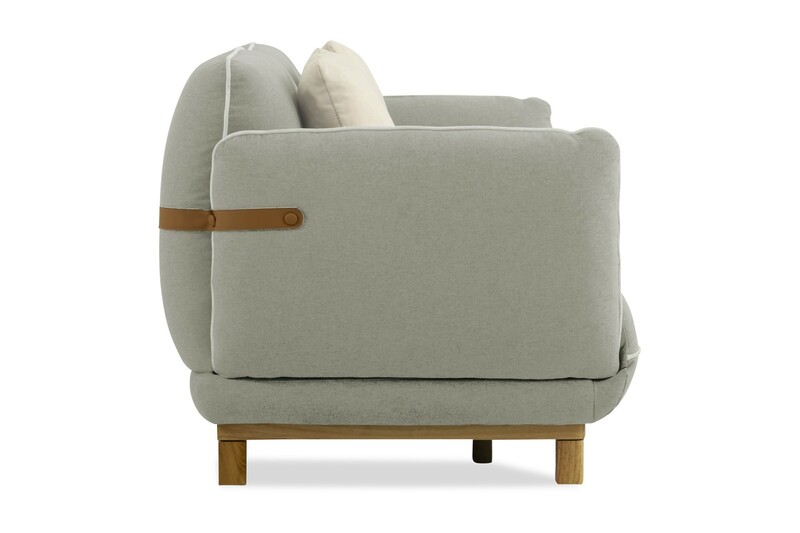 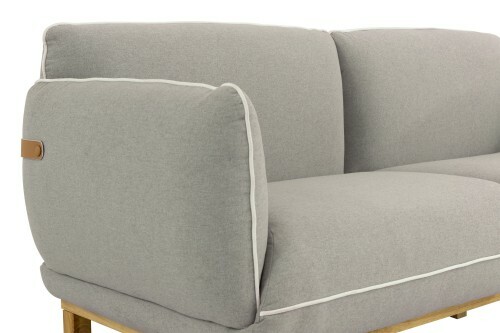 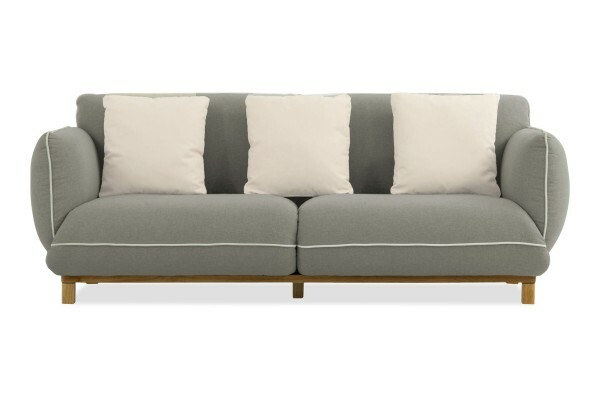 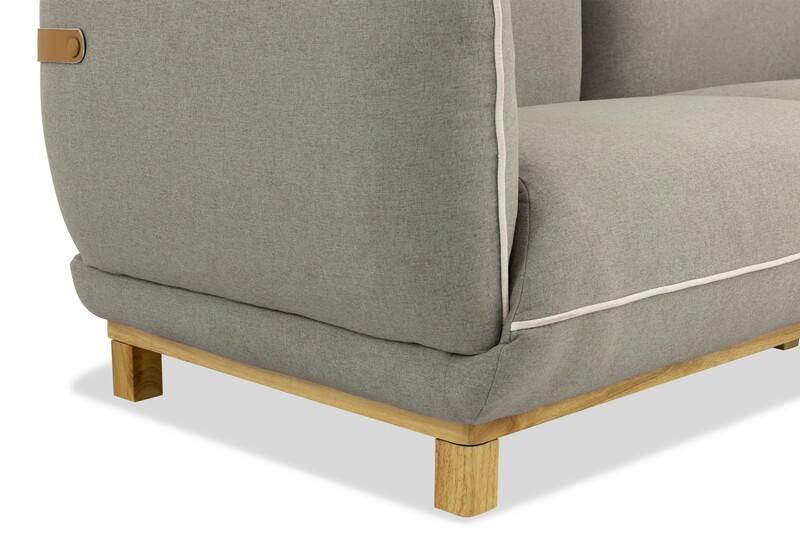 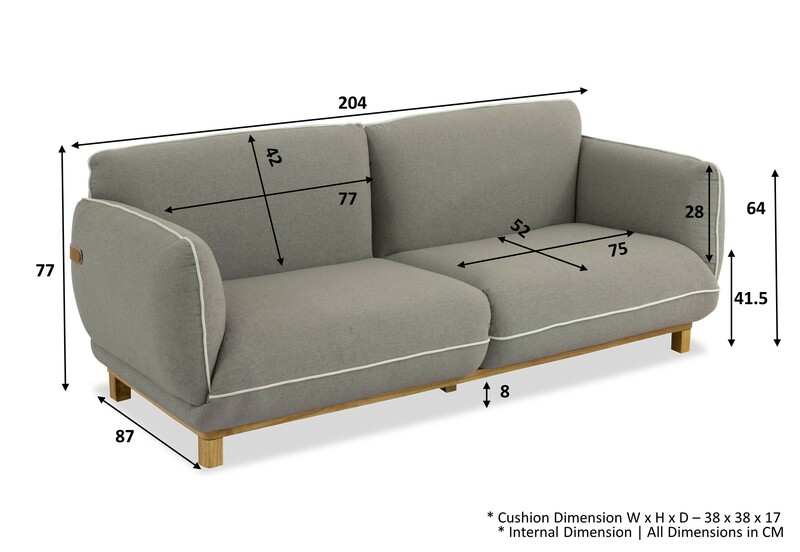 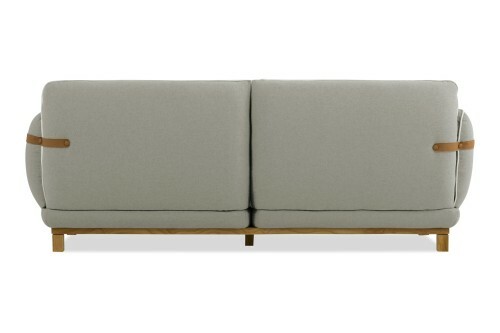 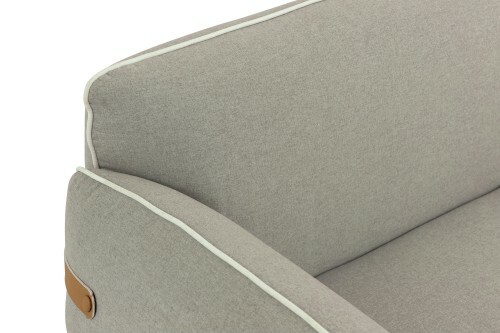 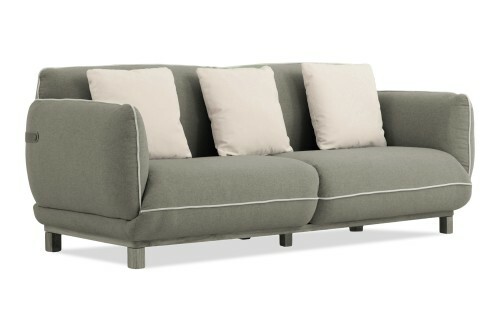 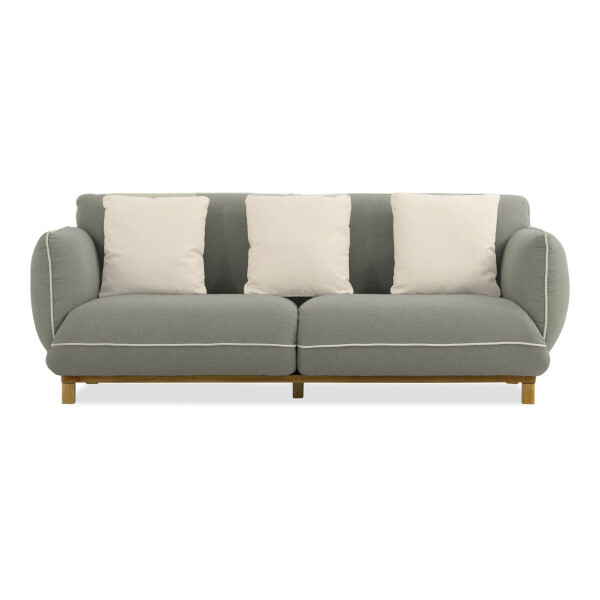 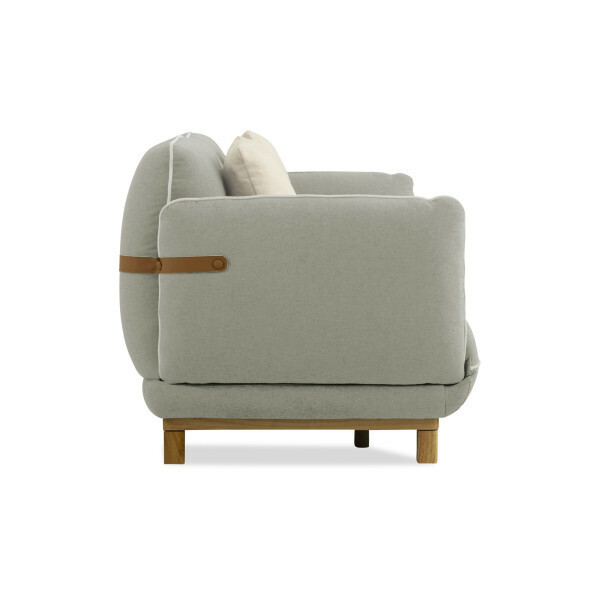 This delightful Scandinavian sofa is so adorable. 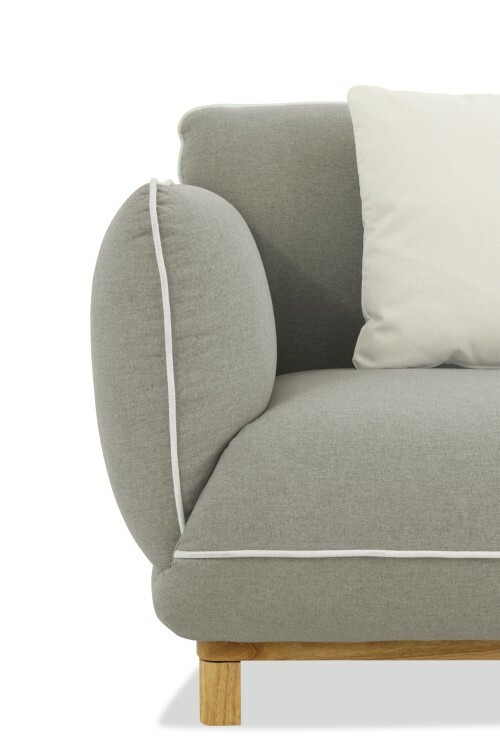 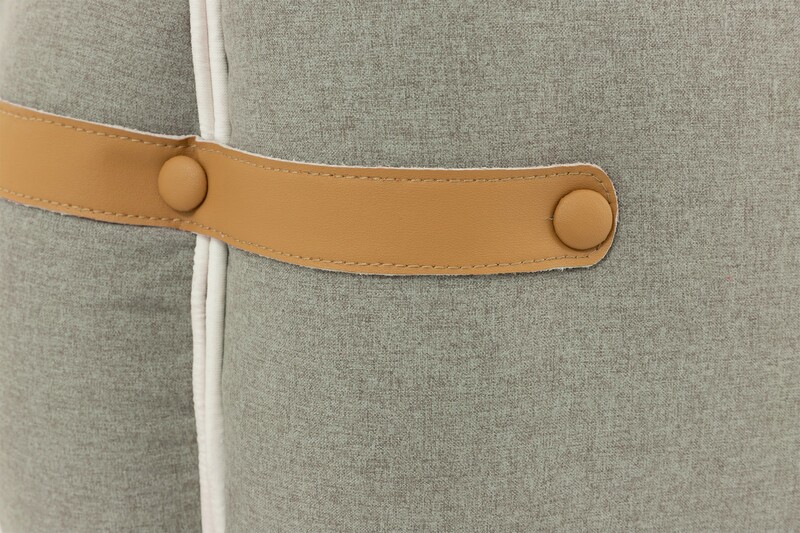 Plush grey curves and white piping on foam cushion seats held together by PVC leather straps and buttons is the epitome of Nordic charm. Sure to turn heads, this sofa will enchant your guests as it envelopes them with its perfect balance of support and comfort. It comes with 3 colour matched white cushions that take the guesswork out of decorating, with removable covers for quick washing. 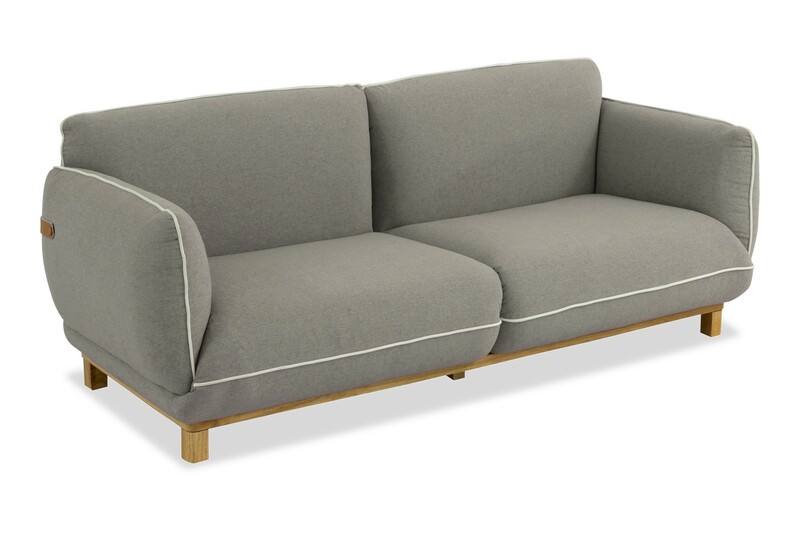 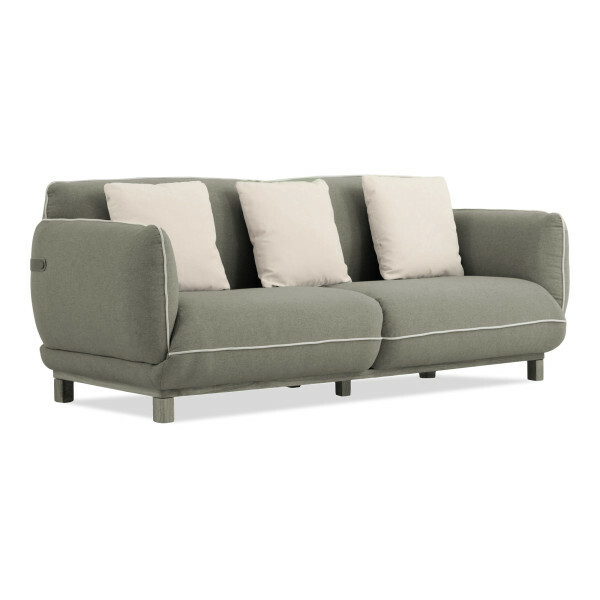 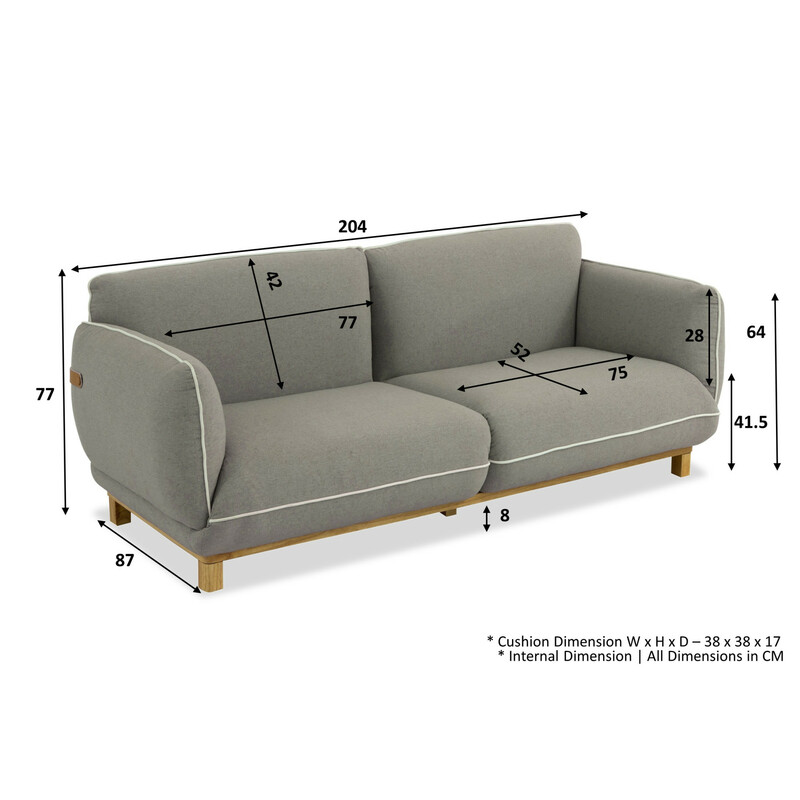 With no exposed edges except for the inset base and legs, this sofa is also suitable for families with young children.